Learn Stock Trading:The stock market is correcting, should I put in a stop loss? should I put in A stop loss? "I heard on the news earlier today that they are bracing for yet another few challenging weeks in the market. Would you suggest I put any Stop/Losses at this point or Sell for that matter on my major stocks?" Note: that this question comes from a buy and hold investor / trader who did not have exit rules or stop loss orders in place in their existing portfolio. My guidance for a new trader who is about to begin for the first time would be quite different. But for the many people find themselves in the situation where they have a portfolio that they have just build up over time and are not actively managing it - this should be useful. 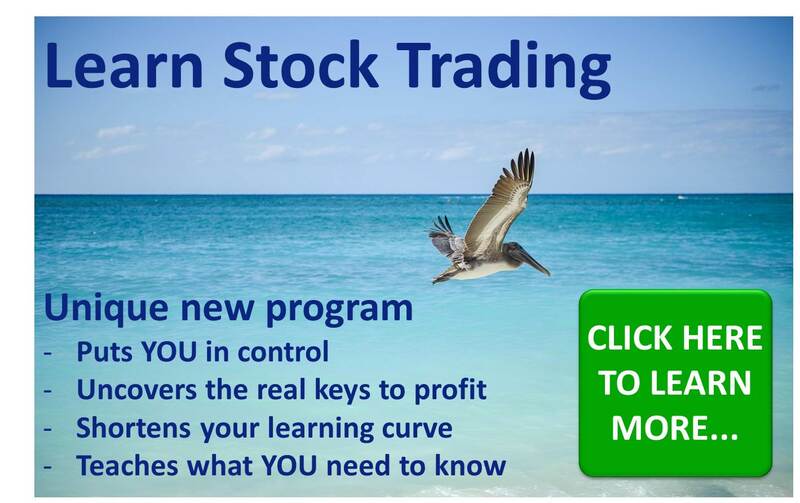 If you want to learn stock trading and have someone guide you every step of the way so that you can stay in control and learn how to profit quickly then check out my unique new program by clicking the image on the right. 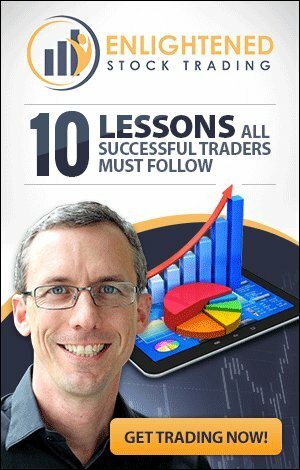 I would love to help you learn stock trading quickly and address your trading questions for you! Click the image and enter your email to find out more about this unique new program which allows you to learn stock trading quickly with the support you need. If you have a stock market portfolio that you don't want to just leave as a passive but and hold investment, or if you are stressed about losing more money in a stock market downturn then Yes you should take some action, but maybe not in exactly the way you might think. So how do I establish stop loss points & reduce stress? The solution is simply to have an objective exit rule (including a stop loss) that tells you when to get out of every investment you have (or make from now on). If you have an objective exit rule then you should not get to the point where you can’t stand the pain any longer because you have already decided how much pain you will tolerate before your rule kicks in – Eliminating emotional selling puts you ahead of the majority of investors! This can be a dollar or percentage amount from your current balance. This is your hard stop where you should be out of the market entirely so you don't keep losing money indefinitely. The most generalised principle to successful stock trading is hold things that are going up and sell things that are going down. So the second step is eliminate stocks that are obviously trending down. If you are holding anything that is obviously in a medium to long term down trend then consider exiting it. If it is already trending down then a bear market will only make it worse. If you have any stocks that are trending down, when you exit them you will be holding more cash and so you will have less risk of hitting your portfolio hard stop you defined in step 1. (Note: Step 2 is not talking about a 1 week correction. It is talking about a protracted down trend). You can tell if it is trending down by looking at a 2-5 year stock price chart from across the room. If it looks like it is falling then you probably shouldn’t be holding it unless you have a really good reason. Look at the chart of each remaining position and decide what level you would consider that it is obviously trending down. Two logical rules might be it drops below its 200 day moving average or it drops 25% from its highest point, makes a new 100 day low or drops below a predefined volatility trailing stop. These are a little blunt, but they will protect you from holding all through a bear market and losing heaps of capital. Record this exit price for each stock. Just for the record - every time you take a trade or investment you should know exactly the conditions under which you will exit that trade or investment. This helps eliminate the impact of emotions on your decisions when things go wrong...you can act rationally because you have a plan. Now look at the risk of each of your positions to determine how much your portfolio can fall before you are out of the market totally. For example if you currently hold 1000 shares of ABC stock that is trading at $50, and you have determined (in step 3) that you will exit if it drops below $35, then you have ($50-$35)*1000 shares = $15000 at risk in that position. Put these into a spreadsheet and add up the total dollar risk you have. If this total risk is greater than the amount that you came up with in Step 1, then you need to reduce the size of some or all of your positions. Consider reducing the size of the position that has the largest amount of risk first. You will probably only have to slim down a couple of your big positions and you will be within the risk tolerance you decided on in Step 1. A more advanced way of doing this is to equalise the risk of all you open positions, but this requires more explanation that is beyond the scope of this response. You have now adjusted your portfolio to ensure that you do not lose more than you are willing to lose, and you also have an objective rule that tells you when you will exit remaining positions. The great thing about that is if the market continues to fall you can rest easy knowing that you have pre-decided the level you will get out of each of your positions, and that you shouldn't lose any more than you maximum desired risk. The whole process above is about starting to match your strategy and risk management to your objectives…and that is the key to long term success! Main Learn Stock Trading Page: Learn Stock Trading: Get your trading questions answered! The stock market is correcting, should I put a stop loss? What is curve fitting and why is it a problem? Why is too much leverage dangerous? When I use end of day data can I trade all time frames with it? 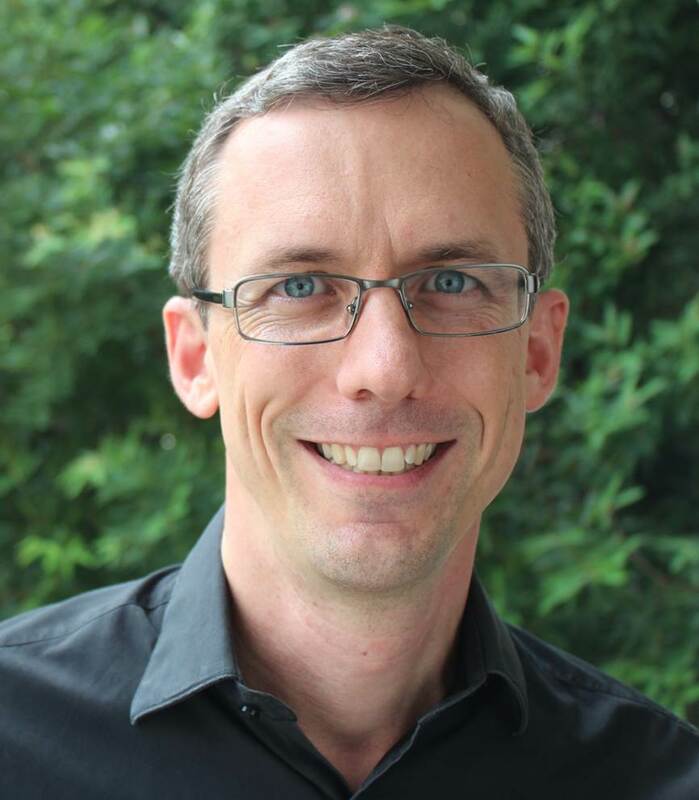 Is end of day data reliable? What is a realistic trading profit target? How much capital should I have at risk in the stock market at any one time? What are reasonable CAGR and Drawdown Targets? Return to top of What is curve fitting and why is it a problem? Home › Learn Stock Trading › Should I put in a stop loss? Copyright © Trading System Life PTE. LTD. 2013 - 2015. All rights reserved.